Are you losing business due to your website design? Does your website lack a professional design? If your website is not helping you achieve your business goals, it is time for a redesign. A website redesign can attract new customers and help grow your business by improving conversion rates, leads and sales. Let Complete Cloud help you with great redesign solutions! Is your website performing the way you want it to? What is your current site not doing for you? We will help you set goals once redesigned and put metrics in place to achieve these goals. Engage your customers and present a compelling offer that makes them feel confident you can solve their problem. Clear and prominent calls to actions are important here. Are you after increased sales? You need to position your products with your customer’s end need in mind and ensure you have a simple purchasing process to take them all the way to payment. Grow your client base or subscribers by offering value or by using promotions. A website designer can redesign your website to open up new opportunities for connecting with clients. Are you effectively building your brand online? Engage your customers and build credibility for your brand through engaging content and a focus on creating a marketing message that resonates with your visitors. It’s vital to ensure you understand your clients well when creating your goals as they will drive the success of your website. Clear calls to action will increase your conversion rates. We take the time to learn about your business so we can help you pick the right goals to position your website for success. We help you define who you will be targeting with your website and what experience they want when interacting online with your business. Ensure users are clear on what they need to do next. If your aim is to sell products, ensure the ‘Buy Now’ button is prominent. If you want to provide information, ensure users can share and download the information. Whether you are generating leads or sales, your website needs to be targeted towards increasing conversion rates. The creation of your second or third website is different to your first. You bring experience in your marketplace and knowledge of what works for your business. 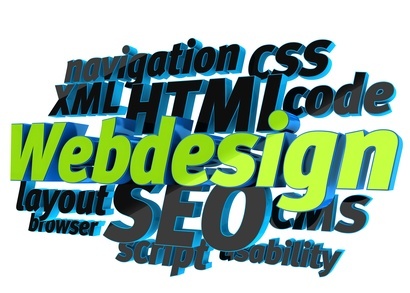 Your website will be more focused and will generate improved results for your business. What are your goals for your new website? Review your current content and deliver your message in a compelling way that creates trust with your clients and gets them to take action. Do you want your website to be a silent salesman, generating leads direct to your mailbox and automatically nurturing leads and closing sales? Good website design can accomplish this. There is more to design than creating a sleek looking website. Website designers take the time to put ourselves in the shoes of your users and create a knock out user experience with your brand. We seek feedback often and continue until you and your customers are satisfied. Your website re-launch is a great reason for you to connect with current and previous clients. We will show you how to use this event to your advantage and get a direct ROI. We are available to support you 24×7 by phone, email or live chat. Complete Cloud can help you drive traffic to your website and improve your conversion rates. Select your channels, deliver your message and track your results. If we built your site it is already SEO optimised, integrated with social media and ready for marketing success. Determine how you want to position your website in the market and which products or service you want to focus on. Select how you want to market your site. Traditional advertising such as flyers, print, radio or online marketing such as email marketing, PPC, SEO or Social Media. On re-launch, start monitoring the effectiveness of your marketing activities using reporting and analytics. This will help you continue to adjust your marketing activities based on what is generating results for you.